Retromobile, the fantastically popular classic car show held annually In Paris, took place last week with the usual excellent turnout of Facel Vegas. The Amicale Facel Vega – the French owners club – took pride of place with their stand on which was exhibited the prototype Facellia which became Jean Daninos’s personal transport. As usual, there were plenty of visitors to the Amicale stand which was put together by its members. However, the Facellia wasn’t the only Facel at the show. There were a total of three Facel 11s, which is quite a turnout, one FV4, one FV3, an FV2B, one Facel 111 convertible, a Facel Coupe 2+2 and a Facel-made Simca Sport 8. At the same time, two Facels came up for auction at the Bonhams and Artcurial sales that take place during Retromobile week. The first was the HK500 which was thought to be Ava Gardner’s for so long because she was photographed with it, but actually turned out to belong to her co-star in the film she was making in Rome where the picture was taken. This car made €174,800 which was pretty healthy, while the ex-Maurice Trintignant FV3B which was been hawked around for a couple of years also made a healthy €165,000, reported as €196,680 elsewhere. 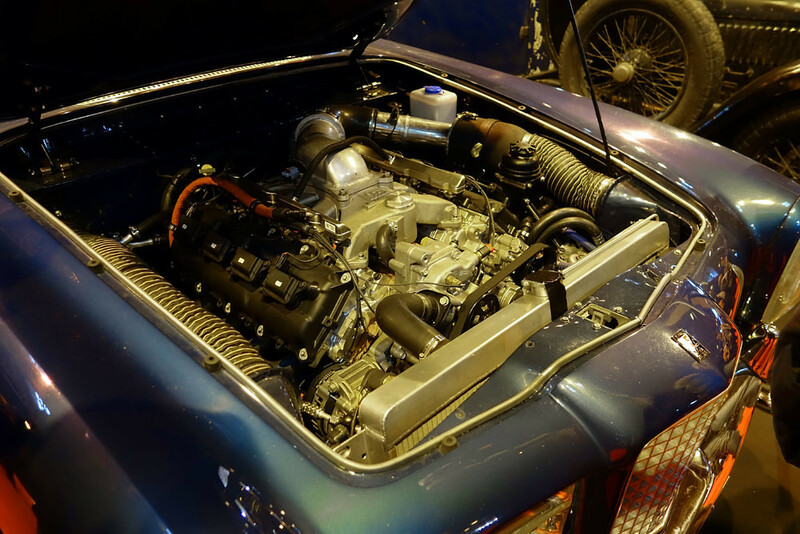 Attracting a lot of attention was one of the Facel 11s which, although LHD, had been much modified in the UK and was being shown by Ivan Dutton, the Bugatti specialist. The whole of this car has been upgraded to a more modern specification. It has a 485bhp 6.4 Hemi 392 Gen 3 EFI engine, driving through a 545RFE auto transmission, giving five speeds forward, plus air conditioning, sat nav and a modern stereo system. It also has upgraded brakes etc and features a massively wide aluminium radiator to cope with any potential overheating. Although it sported UK-style number plates, 33YY, that number if not allocated in the UK and this car has been 590ACS13 when registered in France. It has US-style headlights however. It is not known if this car was for sale and if it sold.